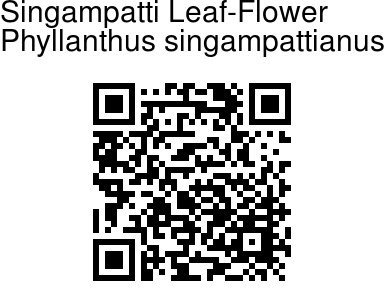 Singampatti Leaf-Flower is a critically endangered shrub, having medicinal value. It is named for the only place where it is found, Singampatti hills in Tamil Nadu. Leaves are elliptic-lanceshaped, closely spaced, borne on long branches. Reddish-pink flowers are borne under the leaves, hence the name leaf-flower. 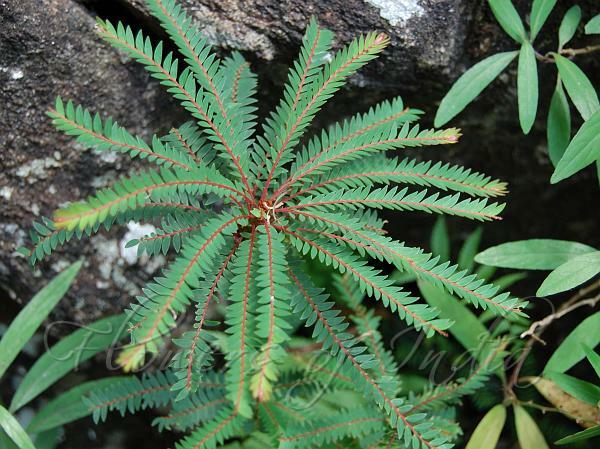 Singampatti Leaf-Flower is endemic to Southern Western Ghats. Flowering: November-January. Medicinal uses: Local people use the leaf paste for curing jaundice.